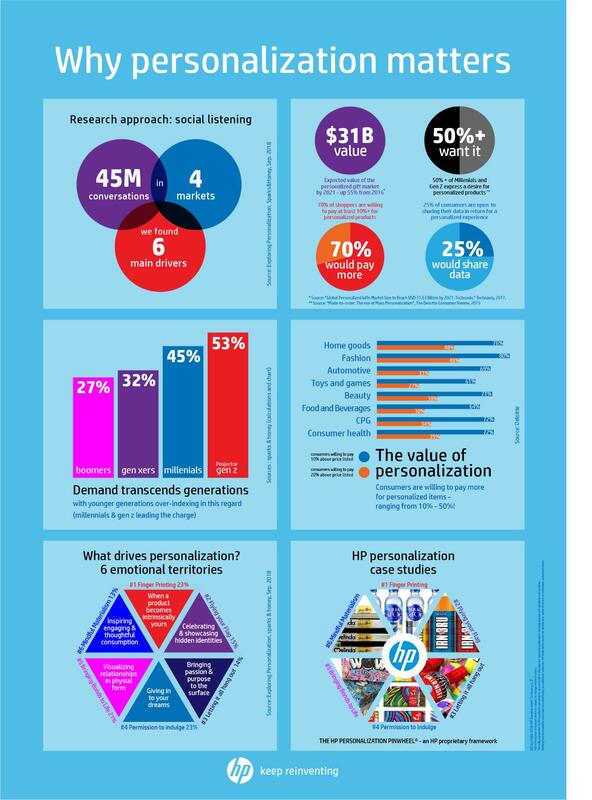 HP today unveiled its framework, The Personalization Pinwheel, to help brand owners tap into the growing personalization market. Informed by insights from more than 45 million online conversations across the globe, the framework hones in on what motivates consumers to personalize – from photo books to magazine covers to consumer packaged goods - and how brands can capitalize on those motivations. To learn more about the HP Personalization Pinwheel and why personalization matters, register here for HP’s Power of Personalization webinar on January 23, 2019 at 6 a.m. PT. To learn more on how HP helps brands harness the power of personalization with HP SmartStream Designer for Designers (D4D) solutions, visit here.